Growing up, dental care was not a priority in my household. My mom worked twelve plus hours a day to take care of us, so the last thing she was going to do was stay on top of my dentist appointments. Besides the “required” school visits that was all I got. Gross huh? By the grace of God, I grew up to have straight and off white teeth. I’ve noticed the older you get, the more that “white” starts to look like beige. Instead of racking up a crazy dentist bill, I took the two weeks to whiter smile challenge with Crest 3D White Whitestrips Luxe Supreme FlexFit. Wearing Stila Beso liquid lipstick. 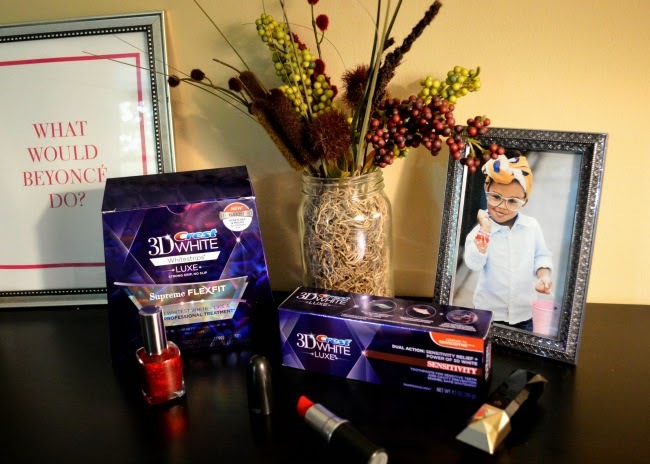 The Crest 3D White Luxe system is an at home two week tooth whitening kit. The Crest 3D White Whitestrips Luxe Supreme FlexFit kit comes with 14 treatments, two in each pack for upper and lower. In addition to the Crest 3D White Whitestrips Luxe Supreme FlexFit, Crest also has a collection of 3D products like mouthwash and toothpaste. 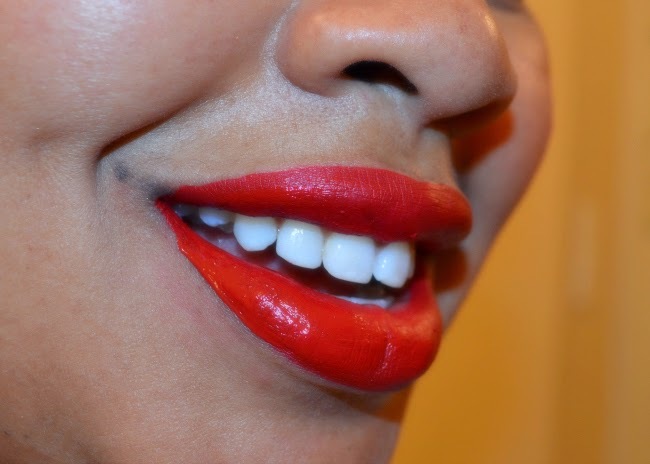 During my 2 weeks to white journey, I used the Crest 3D White Whitestrips Luxe Sensitivity toothpaste. Using the Crest 3D White Luxe Sensitivity toothpaste is not required but will offer some relief if you are experience tooth sensitivity when lifting away surface stains. My teeth have always been on the whiter side so I figured my results would go unnoticed. Boy was I wrong! Even when I was taking pictures, I kept thinking to myself, I’m not going to be able to tell the difference. My teeth are clearly a few shades whiter in just two short weeks. My 2 weeks to a whiter smile journey with Crest 3D White Whitestrips Luxe Supreme FlexFit kit was super simple to use. I set my alarm to remind me to do my treatment for an hour each night. 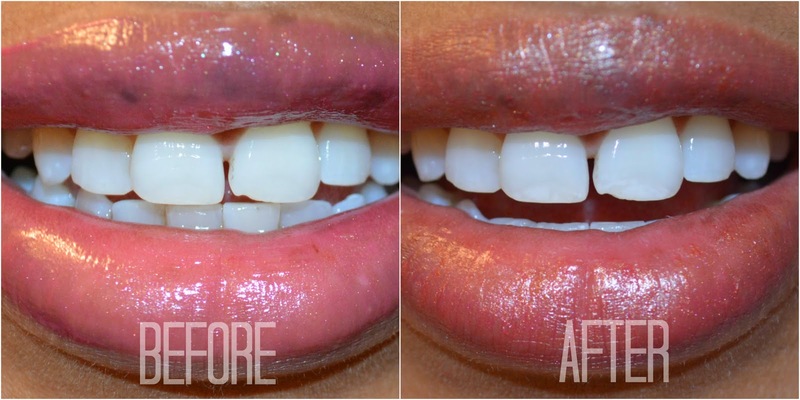 The Crest 3D White Whitestrips Luxe Supreme FlexFit strips stayed in place during the treatment. I was surprised how easily the strips adhered to my teeth and did not move. I did not experience any tooth sensitivity issues using the Crest 3D White treatments. I’m no dentist but if you have sensitive teeth, I would suggest using the 3D sensitivity toothpaste and maybe spacing out treatments every other day. Again, I’m not a dentist, so if you have any concerns, you should consult with a professional. I’m very excited about my results. I can’t believe I was able to achieve whiter teeth in the privacy of my home that could have easily been a $500 dentist visit. To find out more about Crest 3D White Whitestrips Luxe Supreme FlexFit click HERE. What do you think of my results? 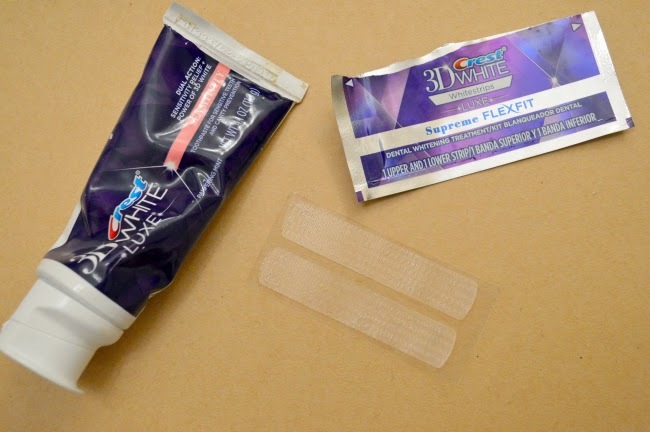 Would you try Crest 3D White Whitestrips Luxe Supreme FlexFit? Yes I have bought them and YES they work!! The only thing I have found is that if I continue with my coffee and red wine ways (duh, not getting rid of those), then I have to keep up very regularly with the whitening! But overall, the results are amazing. Do tell what red lipstick that is in your first picture?? Divine! I need to get me some 3D White Luxe Whitestrips! 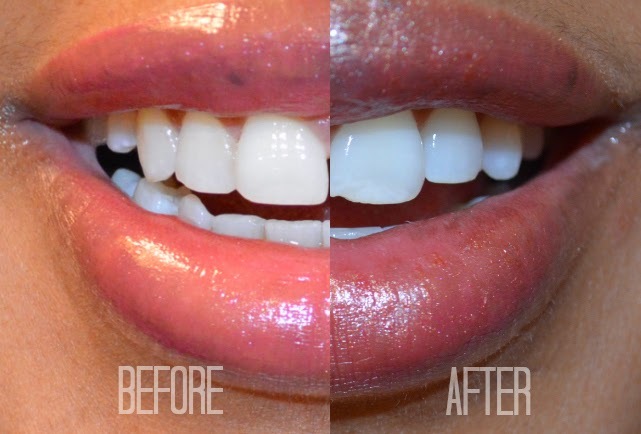 I tried 3D whitestrips before but I wasn’t consistent and your teeth look white girl! Lipstick is popping too! Wow! Your teeth are so white. I will be picking these up ASAP. You can really see the difference! I gotta start using them. Can’t talk now…running out to get my white strips! I can definitely see a difference. I will most definitely have to go get these, thanks for sharing your before and after results. I can see the difference for sure, looks great!! !